Local Arabs attacked Jewish hikers near Shilo resulting in one Jew knifed and an Arab killed. Arab riots continue in the Shilo area after local Arabs attacked Jewish hikers resulting in one hiker stabbed and one Arab shot. 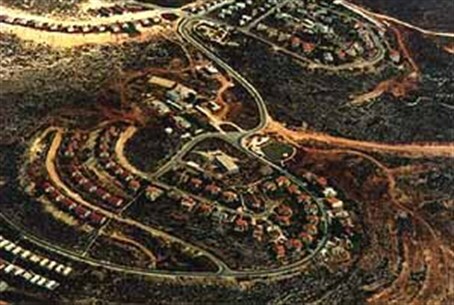 The hikers were attacked between the Arab village of Kursa and Jewish community of Esh Kodesh in the Shomron (Samaria). The knifed hiker was reported to have in serious condition, while the Arab who was shot died of his wounds after evacuation by a Red Crescent amublance. Esh Kodesh residents said that a group of Jewish hikers who arrived this morning to camp in area adjacent to Shilo and Esh Kodesh were attacked by a group of Arabs from nearby Kusra. The Arabs pressed a knife to the throat of one of them. At that point another hiker fired shots in the air, and the knifer released the injured Jew. The hikers then retreated to Esh Kodesh. Within moments, a large mob of Arabs from the village came to Esh Kodesh and began to set fires in the community's vineyards. Jewish residents raced to the site and a running battle began between the two sides. The Arabs threw stones and the IDF arrived on the scene. According to Esh Kodesh residents, IDF soldiers arriving on the scene did not have sufficient numbers to stop the riot and had to wait until members of the Yassam riot police arrived on the scene - at which point four Jews, rather than Arabs, were first taken into custody as the Arabs continued to throw stones at residents and soldiers. Three of the detainees were released right away, but one, a resident of Esh Kodesh, was taken to the Binyamin region police headquarters. Attorneys from the Honenu legal aid association are attempting to secure his release. Clashes between soldiers and rioting Arabs reportedly continue in the area, where MK MIchael Ben Ari (National Union), who arrived at the scene, and residents say Yassam officers have done little to disperse the rioters despite initial reports that "large forces" had been deployed to deal with the violence. The clash comes as the IDF went on high alert, announcing the calling up of reserves to prepare for possible Arab protest marches next week when the Palestinian Authority's plans to request unilateral recognition at the United Nations. IDF sources have warned there could be an escalation of hostilities and attacks on Jewish communities in the region.